It is late in the game to suggest you pick up a fine print 1050 page book on American presidential politics. If you do you will read what is likely the best ever written on the subject and you will get a good look into Joe Biden’s thought process. 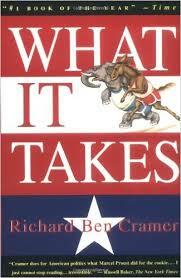 Richard Ben Cramer’s book What it Takes was published in 1992 and is considered by many the most insightful look at presidential politics ever written. Cramer recounts the frenzied course of the 1988 Presidential race. His insight into the psyche of Joe Biden is remarkable and his research into Biden’s ascent into the political world is beyond comparison. ” He was a Biden, he could do anything….He learned to game it out…..to see himself in the situation to come….to think what he would say…how he would sound…. ( Chapter 19, What It Takes). If Richard Ben Cramer were alive today he would be the best equipped to answer the question, will Biden Run? You see, Cramer was a journalist not a pundit. It took 1050 pages to do justice to the subject. He was willing to do the work, not express an opinion. 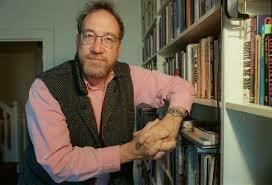 Richard Ben Cramer died in January 2013. Search gordonsgoodreads for my initial overview of the book. This entry was posted in Non-Fiction and tagged Joe Biden, Presidential Politics, Richard Ben Cramer, What It Takes by Richard Ben Cramer. Bookmark the permalink.